ReginArt brings together eleven internationally acclaimed Saskatchewan artists to showcase the diversity of their work and to engage the public. 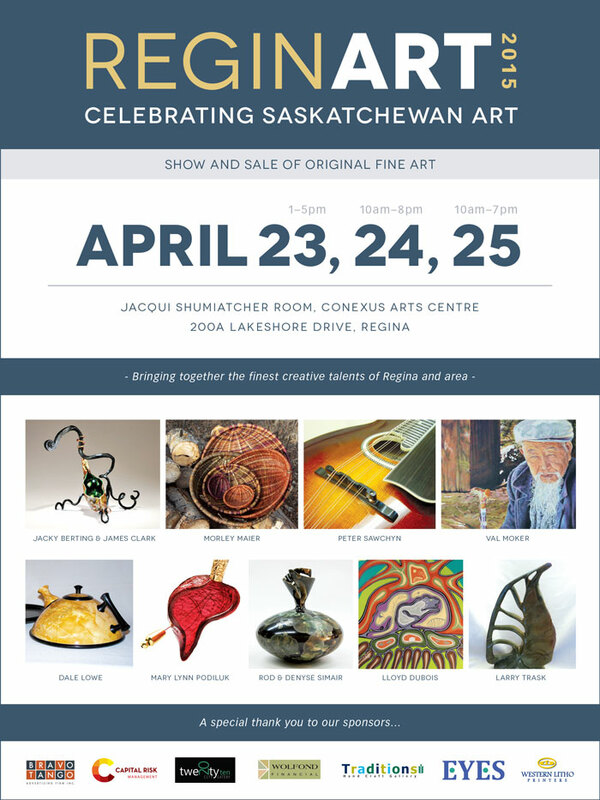 The Conexus Art Centre, Jacqui Shumiatcher Room will be transformed into a gallery where each artist is available to answer questions and provide information centred around their individual art practice and chosen medium. From painting to jewellery, glass, handmade instruments, porcelain , wood and stone sculpture the ReginArt 2015 exhibition and sale promises to meet and exceed any art collector’s expectation.